LA Galaxy II’s Ariel Lassiter rocketed a shot into the upper-left corner of the net from about 30 yards out in the 21st minute and the RGV FC Toros never found an answer, losing to the Galaxy 1-0 on Sunday at the StubHub Center track stadium in Carson, California. RGV FC took 11 shots in the match but put only one on target — a header by Christian Lucatero in the middle of the penalty box during the 65th minute off a feed from Victor Garza that was saved by LA’s Bennett Sneddon. The Toros attempted to mount pressure throughout the match, holding 57.4 percent of possession, but rarely came close to an equalizer. T.J. Casner may have had the cleanest look in the 87th minute, when he received a crisp through ball from Eric Bird and took a shot from the right side of the box that skidded past the left post. LA Galaxy II managed 14 shots and five on target, as RGV FC keeper Borja Angoitia made four saves to keep the Toros in striking distance. The loss drops RGV FC to 7-12-7 on the year, with 28 points to rank 12th in the Western Conference with six matches remaining. The final two playoff spots in the West are currently held by Colorado Springs Switchbacks FC (34 points with six matches to play) and Phoenix Rising FC (33 points with 10 matches to play). RGV FC will face an uphill battle the rest of the way, with all six remaining matches coming against teams in playoff position in the Western Conference. The Toros are just 1-6-5 in their past 12 matches. 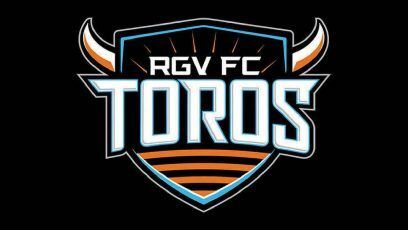 RGV FC on Sunday was without usual starters midfielder Jorginho James and defender Ivan Magalhaes, who was suspended after receiving a red card in RGV FC’s draw against Portland Timbers 2 on Wednesday.